In the early days of what would eventually become Oklahoma, Skullyville was already a flourishing town. 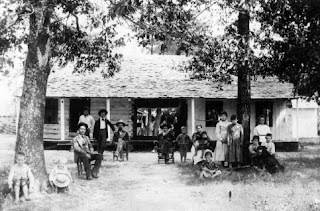 Founded in 1832, when the forced removal of the Choctaw Indians to their new home was in full progress, the busy town of Skullyville would have a brief but eventful history. As one of the most important towns in early day Oklahoma, Skullyville played a vital role from the Choctaw Removals through the Civil War and in to the development of the railroads. This article provides a detailed glimpse into the early days of Skullyville and how the town played an important role in Southeast Oklahoma.